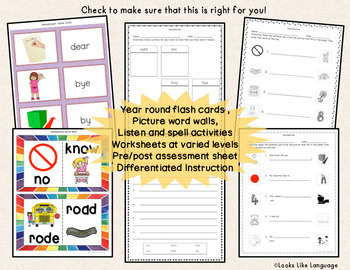 If your students need a lot of practice with new vocabulary, then these sets are for you! 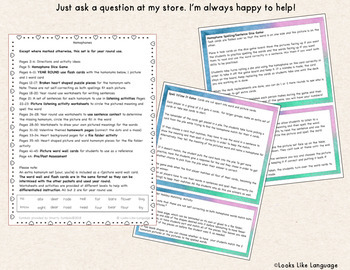 Picture supports help your limited readers and all the varied levels of worksheets and activities help you make differentiated instruction easier! 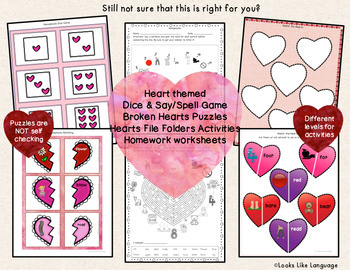 There are special heart themed activities in this packet, but the flash cards and most of the activities and worksheets can be used all year long. 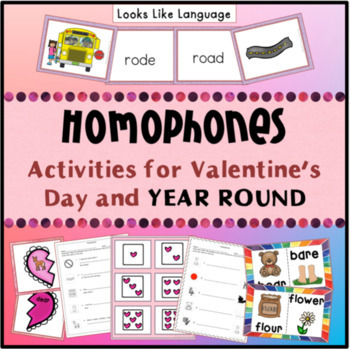 They also co-ordinate with the other sets in this series so that your faster learners can move ahead while your slower learners can continue practice with the same homophone pairs!